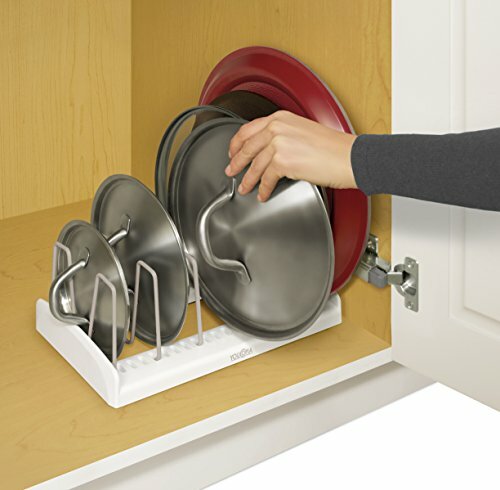 The StoreMore Lid Holder reduces clutter and saves space by organizing your pot and pan lids in lower kitchen cabinets. Perfectly position seven adjustable dividers to keep round lids upright so they are easy to find and retrieve. Coated steel wires won’t scratch lids and non-slip feet keep lids in place. No mounting or installation required.